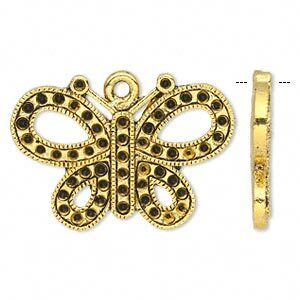 Focal, antique gold-finished "pewter" (zinc-based alloy), 39x29mm single-sided butterfly with cutouts. Sold per pkg of 10. 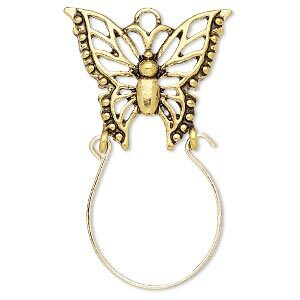 Item Number: H20-2020FX Have a question about this item? With eye-catching detail, these focal components are made of "pewter" (zinc-based alloy) and feature an attractive antique gold finish. Color and design may vary. 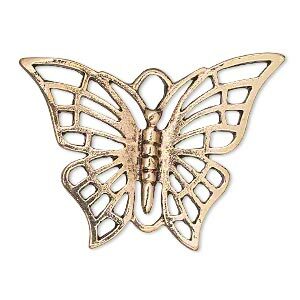 Focal, antiqued gold-finished "pewter" (zinc-based alloy), 34x24mm single-sided butterfly with (41) PP12 settings. Sold per pkg of 6. 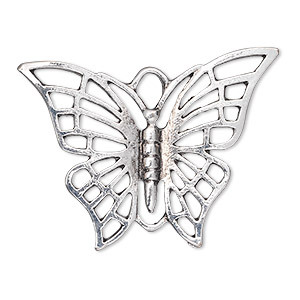 Focal, antique silver-plated "pewter" (zinc-based alloy), 39x29mm single-sided butterfly with cutouts. Sold per pkg of 10. 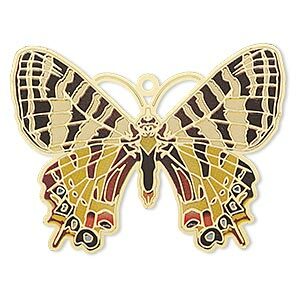 Focal, antique gold-finished steel and "pewter" (zinc-based alloy), 45x27mm single-sided charm holder with 27x23mm butterfly. Sold per pkg of 2. 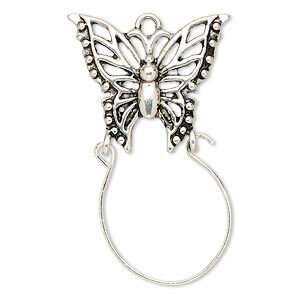 Focal, antique silver-finished "pewter" (zinc-based alloy) and steel, 45x27mm single-sided charm holder with 27x23mm butterfly. Sold per pkg of 2. 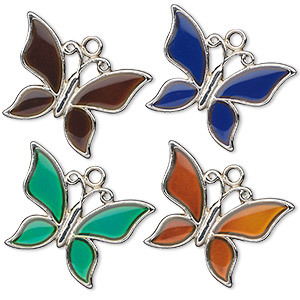 Focal, acrylic and imitation rhodium-plated "pewter" (zinc-based alloy), multicolored, 30x21mm color-changing single-sided butterfly. Sold per pkg of 2. 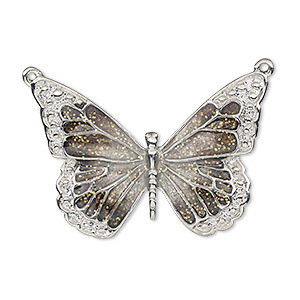 Focal, enamel and imitation rhodium-plated "pewter" (zinc-based alloy), black and clear with glitter, 35x25mm single-sided butterfly. Sold individually. 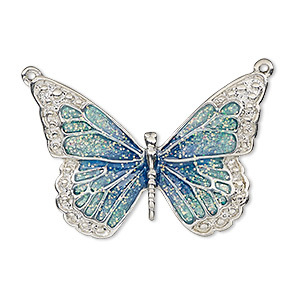 Focal, enamel and imitation rhodium-plated "pewter" (zinc-based alloy), blue and green with glitter, 35x25mm single-sided butterfly. Sold individually. Focal, enamel and imitation rhodium-plated "pewter" (zinc-based alloy), green and light green with glitter, 35x25mm single-sided butterfly. Sold individually.